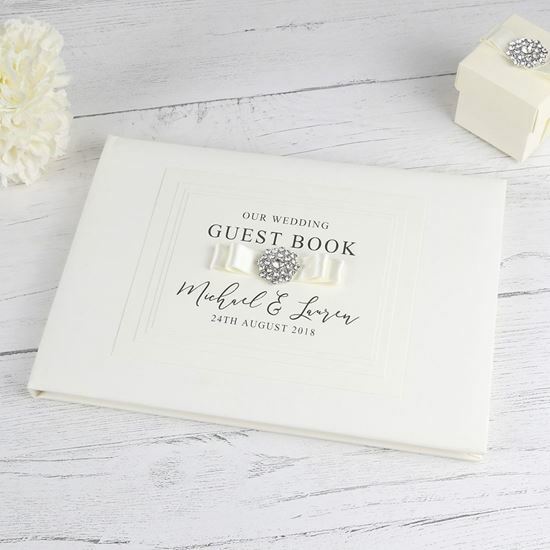 If you really want a touch of sparkle on your wedding then our diamante cluster guest book comes personalised with your names and the date of your wedding. 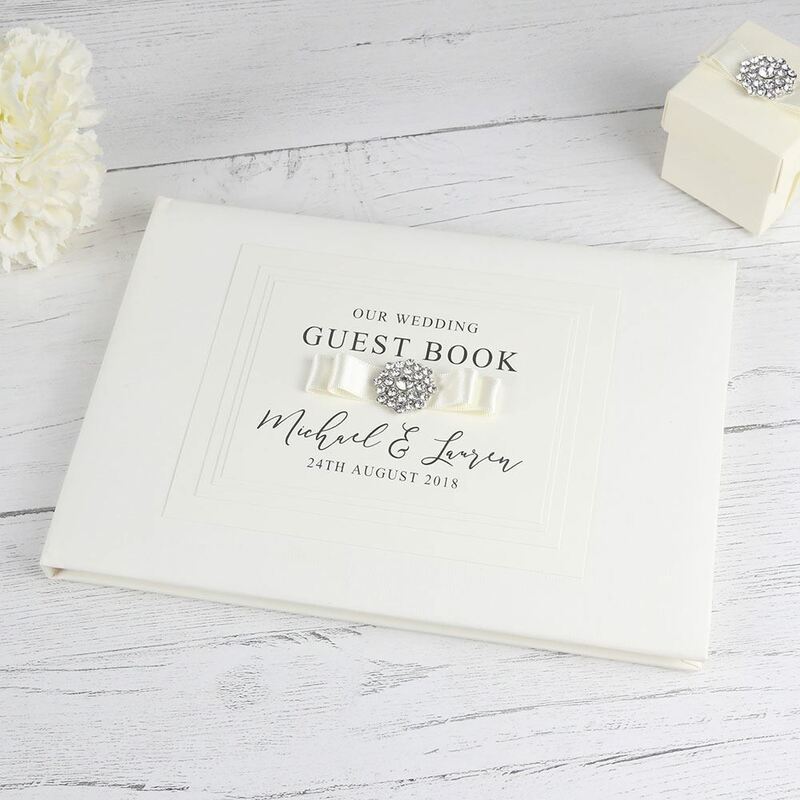 If you really want a touch of sparkle on your wedding then our diamante cluster guest book comes personalised with your names and the date of your wedding. 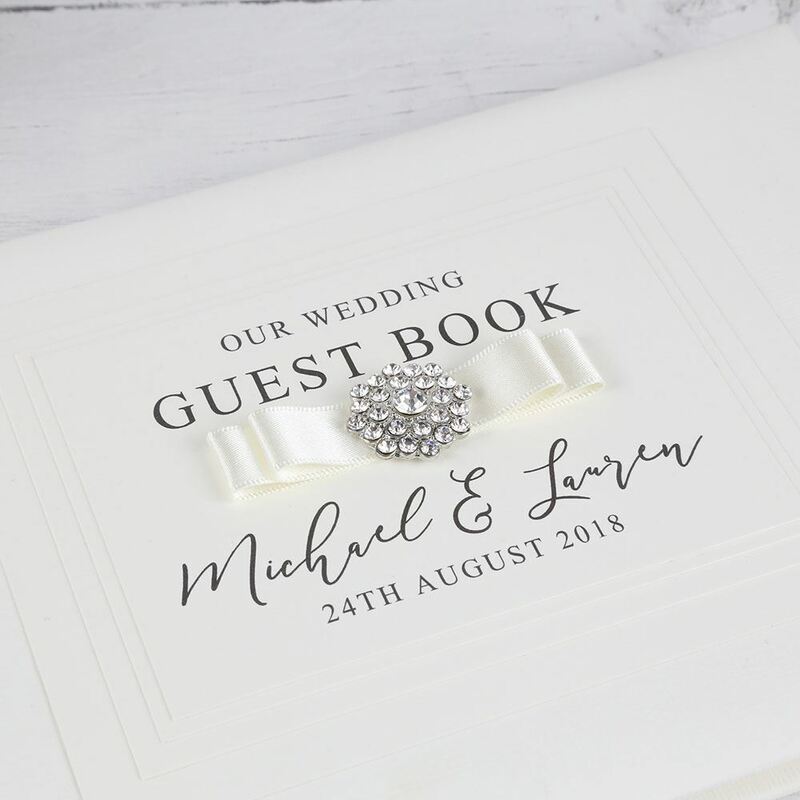 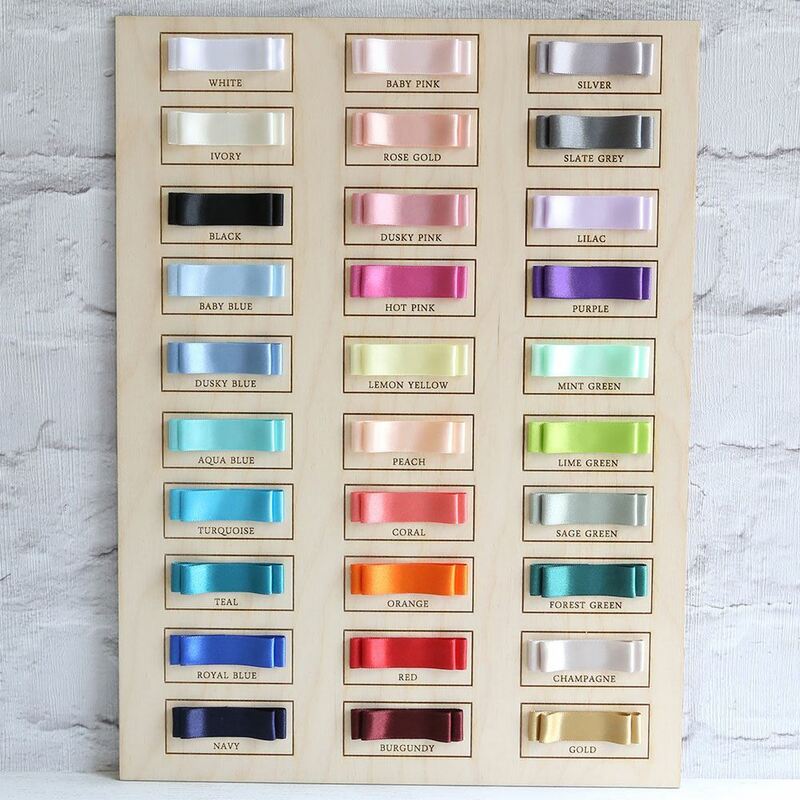 We have shown the book in plain Ivory but you can add colour by changing the bow and backing card to suit your colour scheme. 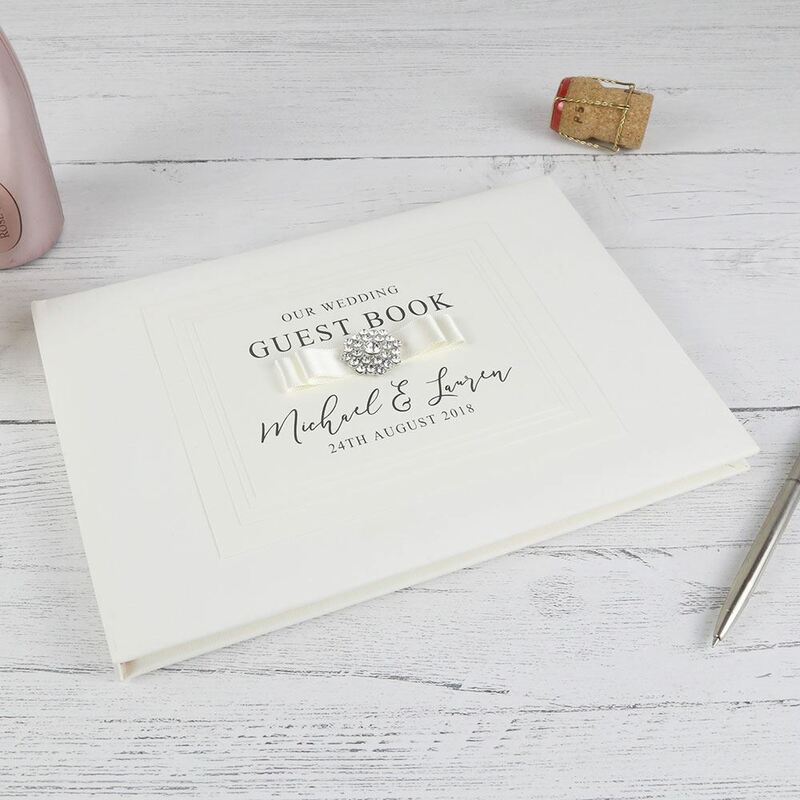 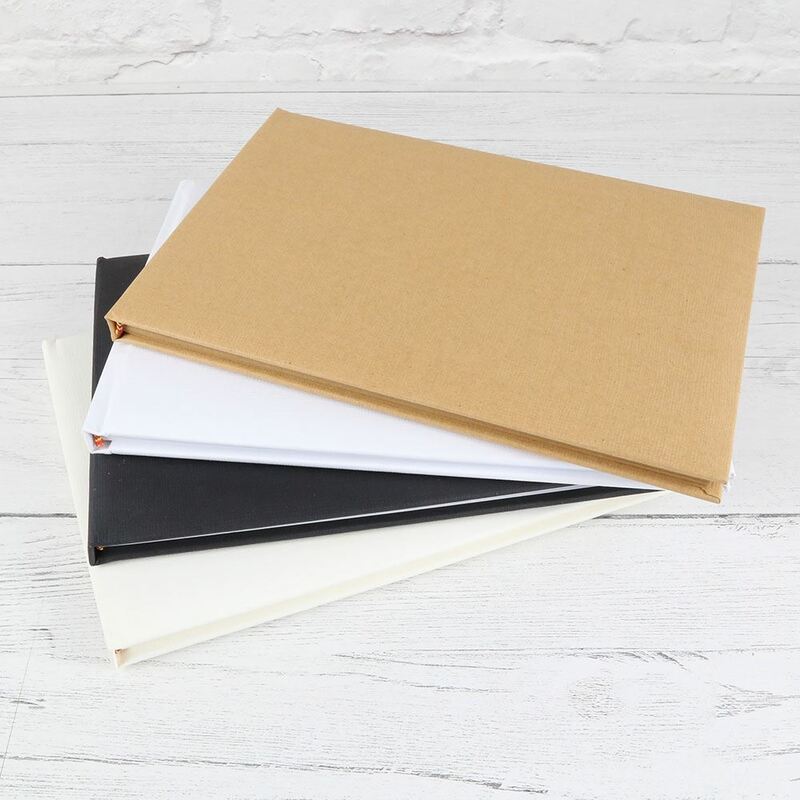 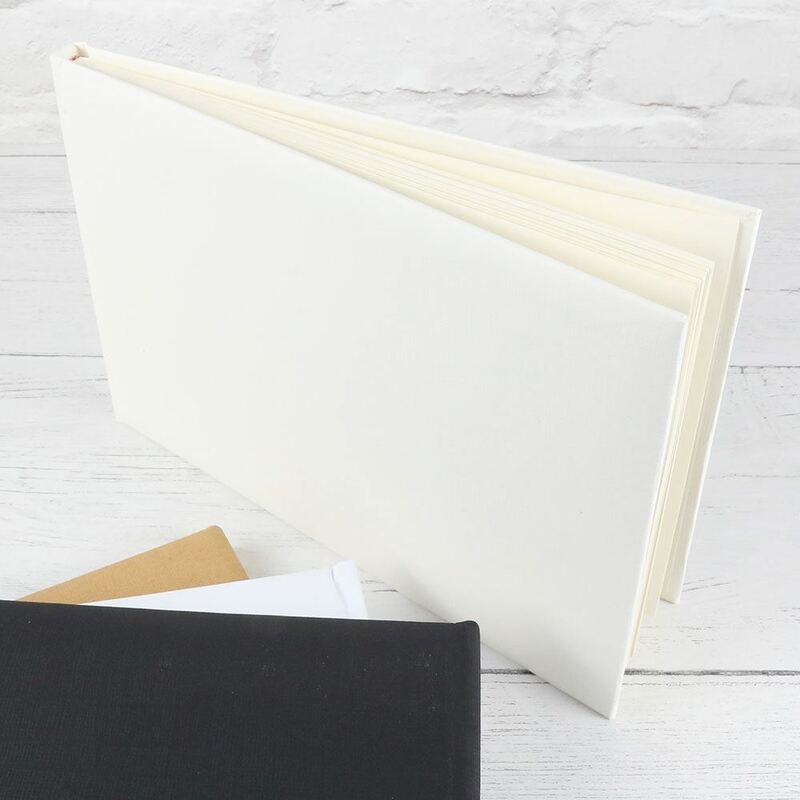 Each book measures 245mm x 170mm and comes with 24 blank pages for your guests to write their messages to you on your big day.